A farmer who left hundreds of animals to die in ‘appalling conditions’ has been jailed for eight months and given a £1,000 fine. 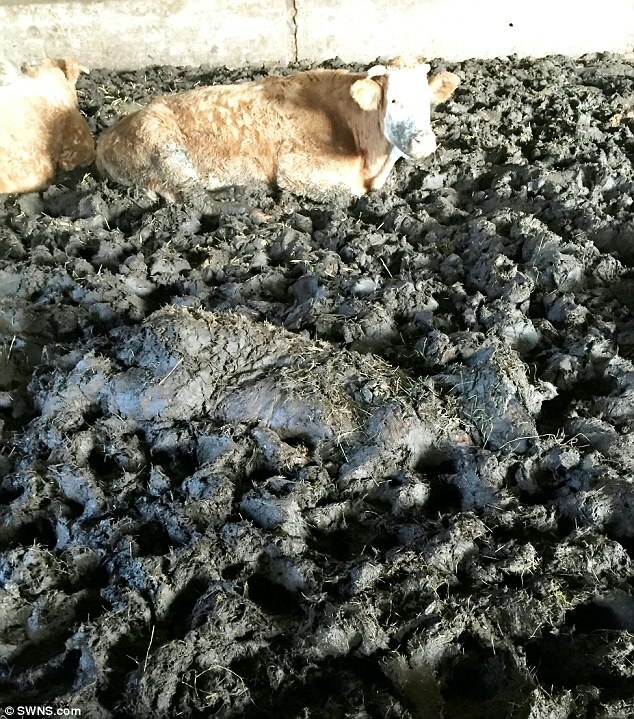 Mark Downes, 50, from Pilning near Bristol, kept pigs, cows, sheep and horses on a ‘farm from hell’ in what was described as a ‘total animal welfare disaster’. RSPCA inspectors found pigs gouging on rotting carcasses and the bodies of dead animals strewn across barns at the farm. A post-mortem examination of a sheep found it had zero fat anywhere on its body after dying of starvation. 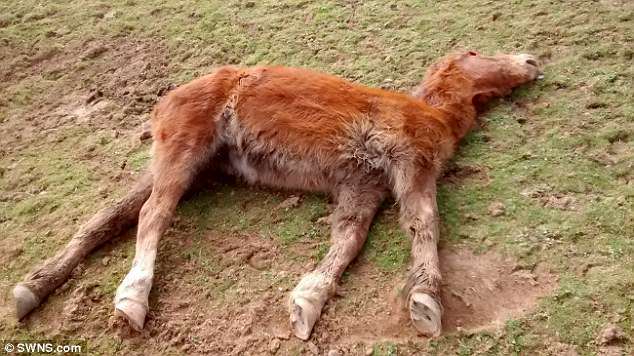 Animal welfare specialists also found a disembodied horse’s foot in a pig pen and a horse’s skeleton with its leg trapped in barbed wire. Downes, who was a tenant farmer at Ingst Manor Farm, has been banned from keeping farm livestock, including pigs, sheep, goats horses and cattle, for life. He agreed to take care of the animals for the farm owner in return for keeping his horse there. Judge Matthews said: ‘When the RSPCA arrived at Ingst Manor Farm in March 2015 they were greeted with a total animal welfare disaster. ‘Animals were dead, dying and suffering. The farm itself was in a dire state. Immediately visible were two horses that were dead by the gate. ‘There were 12 to 18 inches of slurry, concealing dangerous ironworks and the bodies of dead animals. 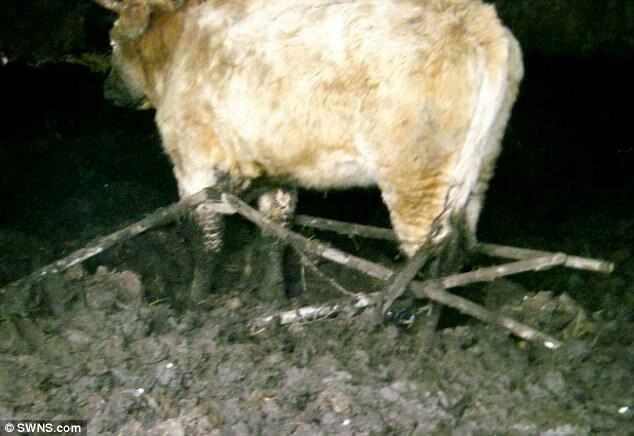 ‘Living cattle with no access to food and water were sharing a barn with dead cattle. One calf was stood by a dead cow and the impression that those there had was that was its mother. Ending her damning statement about the farm, she said the list of offences over a period of years was too long to go into. 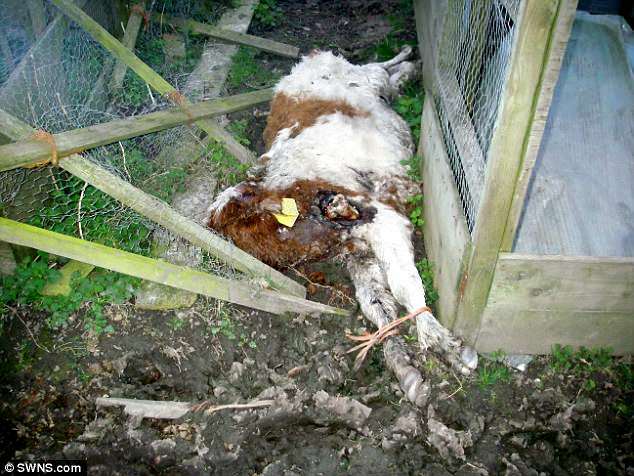 The owner of the farm has also been convicted of animal cruelty offences and awaits a hearing on further charges. The judge was told the total prosecution cost to the RSPCA and South Gloucestershire Council’s trading standards animal welfare team would be approaching £400,000. The court was told the RSPCA also had to pay almost £30,000 in experts fees. And South Gloucestershire Council’s total legal bill and amount paid to dispose of the dead animals amounted to more than £40,000. The total across both organisations for everything connected with the case amounted to more than £384,000.